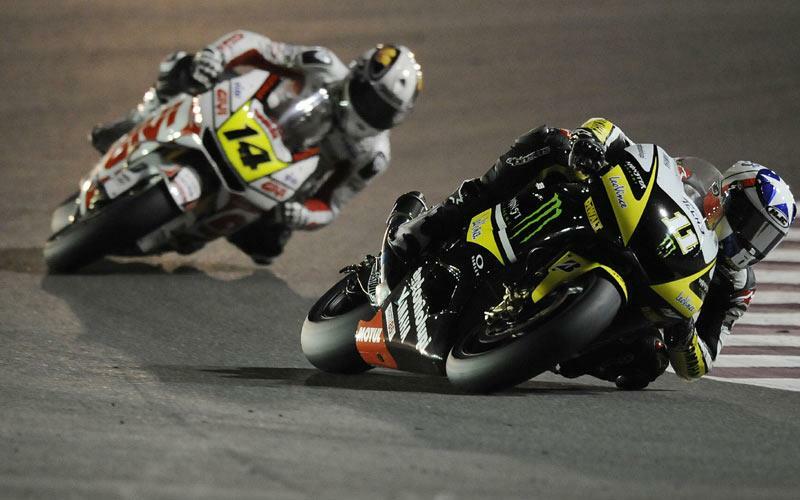 Monster Yamaha Tech 3 boss Herve Poncharal said new recruit Ben Spies had already lived up to the pre-season hype after the Texan’s brilliant ride to fifth place in last night’s MotoGP curtain-raiser in Qatar. The 25-year-old produced one of the performances of the 22-lap floodlit clash in Doha to storm through from a lowly 11th place on the grid to fifth in what was only his fifth MotoGP appearance. Spies produced a thrilling first lap to gain four places and claim seventh before he was elevated into the top six by a surprise mistake from race leader Casey Stoner on lap six. Pursuing fellow Yamaha YZR-M1 rider Jorge Lorenzo, Spies once again demonstrated his devastating speed on worn tyres as he threatened to haul himself into contention for the podium battle involving Nicky Hayden and Andrea Dovizioso. For several laps, Spies was the fastest man on track and he ended with the fourth best time of 1.56.087 clocked on lap 17. Opting to settle for fifth as a dramatic battle for the podium unfolded in front of him, Spies finished just over two seconds off third position. And impressively on only his second race for Yamaha, the reigning World Superbike champion was less than four seconds away from race winner and reigning world champion Valentino Rossi. Spies’ performance delighted team manager Poncharal, who said: “Everybody was expecting great things from Ben this year and we have to say already that he has shown what he is capable of. "We were a bit disappointed when he was only 11th in qualifying but we knew it would be better for the race because he was so strong on hard tyres and we know this is a major strength of Ben's. "And he is a racer who is very aggressive and he made up a few places early on, which is always crucial in MotoGP. Spies declared himself happy and he said: “I'm happy because I knew we had the bike and I knew I was riding decent. "Some things didn't go my way in qualifying and while it wasn't really a smooth weekend, it came together in the race. I gave 110 per cent every lap and that's all I can do and at the end I came out with a decent result. "The key was that I knew we had a good pace on race tyres. I got a good start and I was quite aggressive in the first couple of laps to try and make up some places and keep contact with the front group. "My confidence was growing in the middle of the race and I could see Jorge and Valentino and those guys not a million miles in front of me. "I wasn't catching them a lot, but I knew for a few laps in the middle of the race I was definitely the quickest out of the top five. Maybe if I'd have qualified higher I might have been in that fight for the podium at the end.